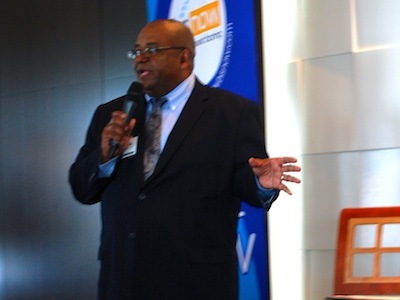 Midgett S. Parker, Jr., Partner of Linowes and Blocher LLP, a business and real estate law firm, was the moderator of the Bisnow’s Third Annual Prince Georges County State of the Market Summit on August 21, 2013 at National Harbor. Esteemed speakers on the panel included Wayne Curry of NAI Michael Companies, John Majeski of The Donaldson Group and David Iannucci of Prince George’s County Economic Development to name a few. Mr. Parker and the panel discussed what’s new and what’s coming for Prince George’s County – including new projects at National Harbor. The afternoon summit also provided an update on the critical transportation and infrastructure projects.